There are three distinct disciplines: (1) Fiqh al-Ikhtilāf; (2) ‘Ilm al-Khilāf; and (3) al-Fiqh al-Muqāran. Fiqh al-Ikhtilāf is a study of the opinions of the jurists with or without an expose of their respective evidences and answers to opposing views. The primary objective here is the differences of the jurists. 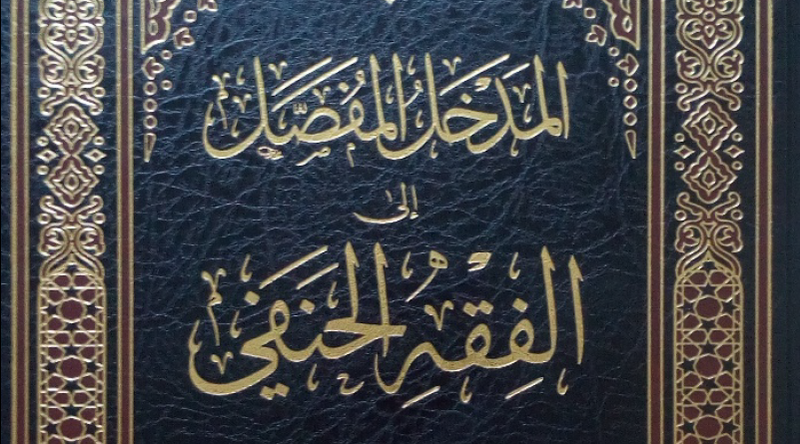 General Fiqh texts only tangentially mention opposing views to underpin the strength of the preferred view whereas books of Ikhtilāf are written with the purpose of presenting the differences of the jurists whether the author only mentions their opinions or supports the evidence of the preferred view of his madhhab. This discipline traces its origins to the beginning of Fiqh itself; it is part of the study of Fiqh and without it Fiqh is not firmly established. In the 2nd century, scholars compiled Hadīth collections on the reports and differences of the Companions and Successors on legal issues; the discipline further evolved during the era of the mujtahid scholars where they began citing legal issues alongside the disagreements therein. ‘Ilm al-Khilāf teaches the method of critically engaging the evidence of the opposing view in accordance to the protocols of debate and argumentation. It is defined as a study of the methods of presenting shar‘ī evidence, answering critiques, and dismantling disputative arguments by adducing evincive proofs. Tāshkubrī Zādah writes, “The science of disputation and differences can be placed among the branches of Usūl al-Fiqh.” Abū Zayd al-Dabūsī (d. 430 AH) is regarded as the founder of ‘Ilm al-Khilāf as a result of the widespread and fervent inter-madhhab debates during the 5th and 6th centuries. Through the vast literary wealth these debates have left, it is clear that each legal school has cogent evidences to support their respective views. Based on the definition I provided – that is, a description of the differences of the scholars, not restricted to deconstructing the opposing opinion – ‘Ilm al-Khilāf is more comprehensive: it includes the first generations of scholarship and continues to this day. He was a professor at the department of rights at Madrasat al-Qadā’ al-Shar‘ī. He is noted for his research in comparing legal schools and religions. He authored roughly 25 book, such as Ahkām al-Ahwāl al-Shakhsiyyah fī al-Sharī‘ah al-Islāmiyyah, al-Nafaqāt, al-Wasāyā, and Turuq al-Ithbāt al-Shar‘iyyah in comparative Fiqh. Fiqh al-Ikhtilāf is a well-known field of study; a student of Fiqh cannot hope to develop competence until he gains an understanding of it, and Muslim scholars throughout history were deeply involved in it. However, it is unacceptable to concoct laws by combining scholarly opinions without set principles and evaluate without established criteria and inadequate comprehension. The study of Fiqh in this comparative manner is unprecedented. Al-Mughnī fī Sharh al-Khiraqī, al-Majmū‘ fī Sharh al-Muhadhdhab, and al-Bināyah fī Sharh al-Hidāyah are not books of comparative Fiqh in this sense; they are purely madhhab related books where the authors present various opinions and proofs on a subject and then support their respective views with scriptural and rational evidence. In al-Muhallā, Ibn Hazm al-Ẓahirī presents his own opinions and mentions other opinions to refute them, and he relies on his own principles of deducing laws, bearing in mind the criticism of scholars in respect to them. There is no issue in labeling a study “comparative” or “general” Fiqh; these are mere terms and there is no restriction in terminology. However, the potential problem lies is the methodology, which if compliant to the methods of our early and latter-day authorities is incontestable. When should Fiqh al-Ikhtilāf be studied? In the beginning, one who seeks to study a discipline should avoid delving into differences, be they in the mundane or religious sciences, as that will overwhelm the mind, weaken the capacity to reason, and make one despondent of acquiring expertise. Instead, a student should begin by perfecting one praiseworthy path that is approved by his teacher; only thereafter should he delve into differences and objections. Introduction to Mukhtasar Ikhtilāf al-‘Ulamā’, vol.1, p.81. Ithāf al-Sādah al-Muttaqīn, vol.1, p.278.